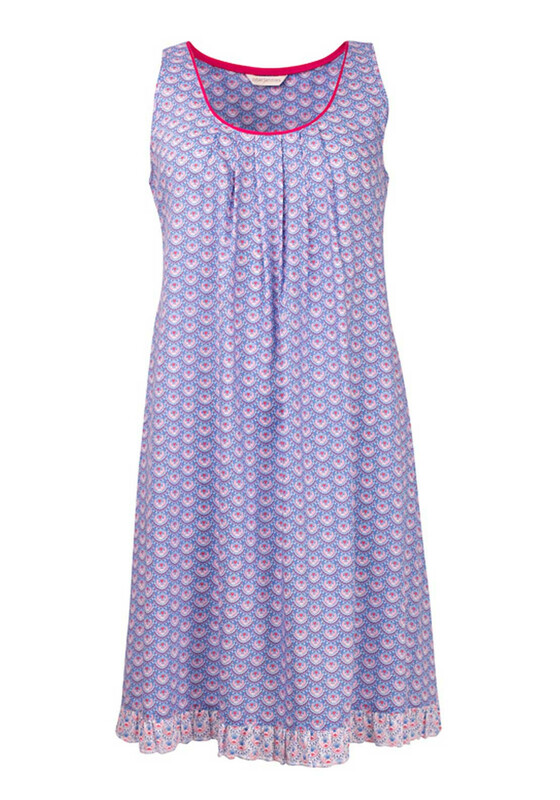 Cyberjammies presents their Loved Up Folk nightdress which would be a comfortable choice for warmer nights. Designed with a sleeveless soft A-line shape and made from lightweight cotton blend fabric with a printed pattern throughout. Featuring a colour contrast frilled hem and round neckline.